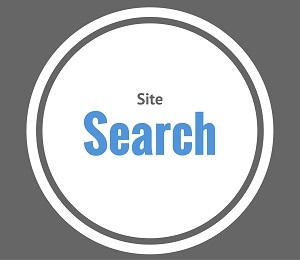 Our advanced site search has been provided for your convenience. No problem - Leadership-Tools.com has an effective site search capability that is here simply to help you save time and find the information you seek – without having to go through an endless process of "click, search, repeat". We recognize that you have limited time, and patience, when searching online for critical information. We get it - your time is valuable. That's why we've taken the time to help you find what you are looking for in a very short period of time. In addition to our search tool, which we'll cover in just a second, you may also find it helpful to review our Site Map, where we list every page that is currently on our website. Just one more option for you to consider in your search. Now back to our search option. You will need to keep in mind that with any tool, the quality of your output is determined in large part by the quality of your input. So it’s important to remember that the quality of your search will have a great impact on the quality of your search results. Using two or more words in your search will help you find what need faster, with greater accuracy. Your keywords will tell the search tool to make sure all the words are on that specific page. Try using 3 or more words to start. If this gets too many results, then simply add another word to narrow your search. If you get too few results ... take a word or 2 away. Within a matter of seconds you should have the information you seek. Google does an excellent job of providing targeted results based on the keyword(s) you supply for the advanced site search. Please be aware of the fact that Google places ads just above and below the actual search results. Those ads are not originated from our site. However, those ads may be of some interest to you, since Google targets the ads to your particular search. The choice is yours. As you can see, we've tried hard to make it simple for you to quickly find the information you are interested in. In addition to our site map and search tool, we've invested a lot of time to categorize articles, tools and resources in a way that is intuitive for our readers. If you still are not finding what you are looking for, feel free to contact us with your question and we'll do our best to assist you.